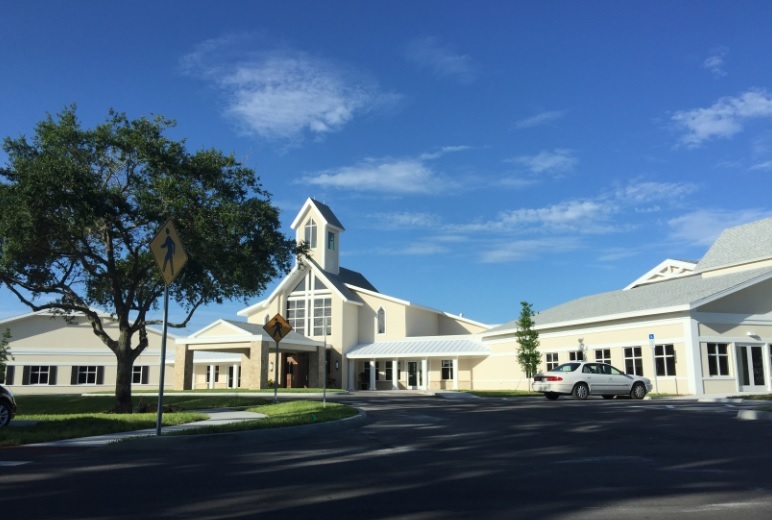 On Sept. 21, Christ Church Vero Beach received an Industry Appreciation Award from the Indian River County Chamber of Commerce recognizing the new Christ Church building for Architectural Achievement. 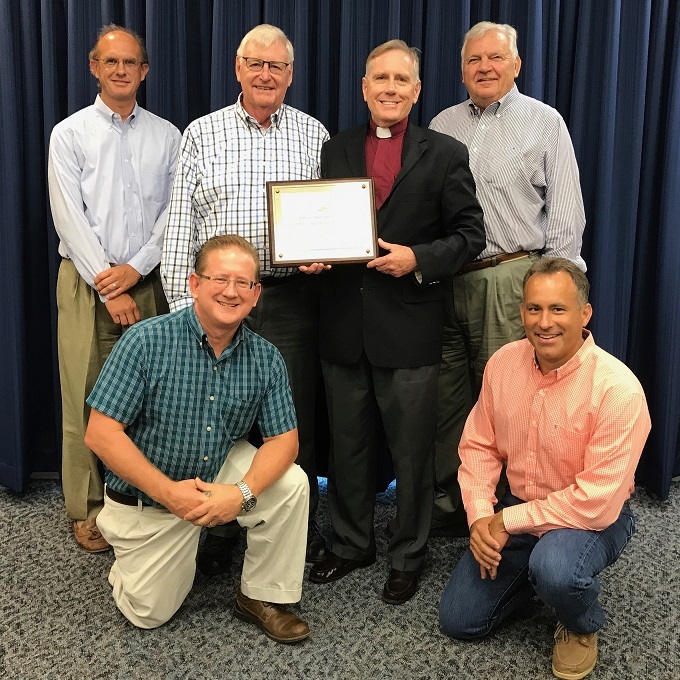 On hand to receive the award at a luncheon held at the Vero Beach campus of Indian River State College were Bishop John Miller and members of the Christ Church building committee. Shown here on the bottom row, left to right, are Joe Schulke and Dave Milton. 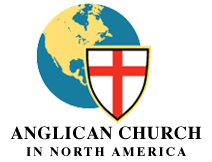 On the Top row, left to right, are Bill Stoddard, Dave Pearson, Bishop Miller and Toby Arnheim. Absent from the photo are other committee members Larry Lauffer and Don Pittman.